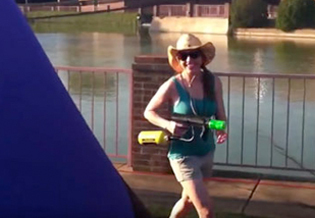 Safe For All Ages & Tons Of Fun! 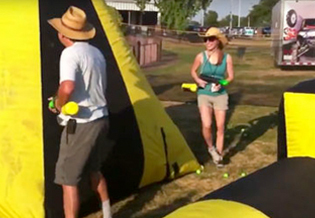 Bazooka Ball Fun For Kids of All Ages & Mom & Dad Too! 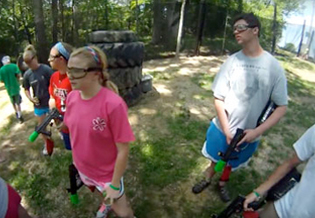 Just like our original PhazerZone™, Bazooka Ball™ is the most awesome combination of Laser Tag and Paintball! It provides the same adrenaline rush for seasoned players but is also great for younger players too! 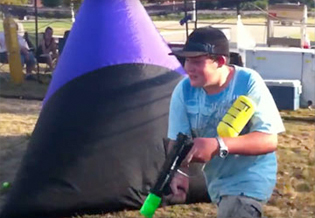 Bazooka Ball can be played in one of our Glow-In-The-Dark Arena with regular paintball markers and 2" foam balls with high impact sensor vests and real time electronic scoring and sound effects, or outdoors in an open field environment without the elrctronic vest and scoring. Either way it's great fun for players of all ages! 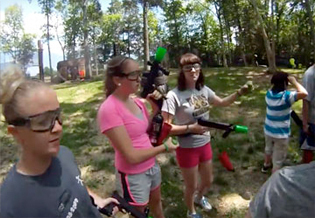 Bazooka ball uses our custom designed "Bazooka Ball Barrel". 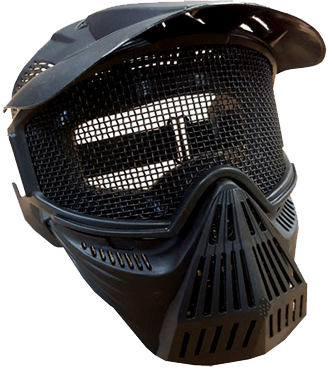 It attaches to our NEW Bazooka Ball Vertex Marker or any standard Tippmann 98 Paintball Marker (or marker with equivalent barrel thread). 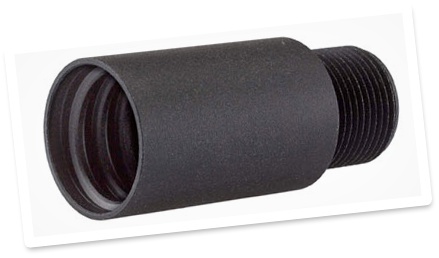 For JT, Spyder, BT and Tippmann FT-12 markers we have special adaptors (pictured below) to use with our Bazooka Barrel. LOW IMPACT 2” FOAM BALLS! 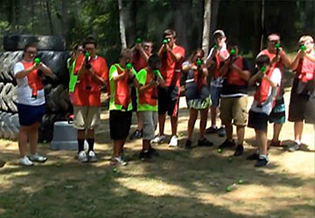 Bazooka ball uses "LOW IMPACT" foam balls that are safe, fun and easy to use! 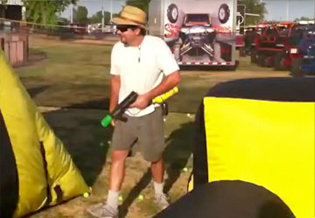 2 inch foam balls made specifically for our Bazooka Ball Barrel. Dimpled for fast travel and longer flight. Safe for indoor or outdoor play. 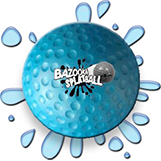 NEW and improved with a phosphorescent skin our Bazooka Ball now glows 50% brighter under blacklights. And it's still the same price! Balls fly from 30 to 100 feet! 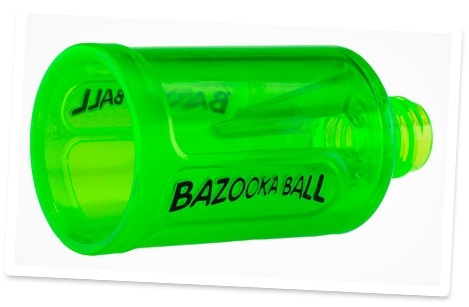 NEW AND IMPROVED Bazooka Ball FIRE BALLS with a built-in LED light that activates when fired. 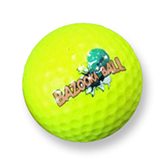 Like our original Bazooka Ball it's safe for indoor or out door play and is coated with a phosphorescent skin. Even without the LED light the ball glows under blacklights! 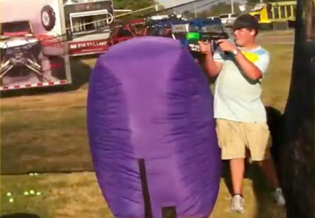 Balls fly from 30 to 100 feet! 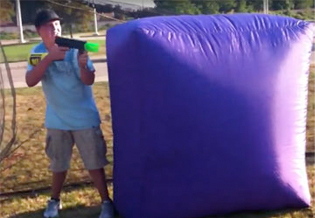 NEW Bazooka SPLAT Ball. 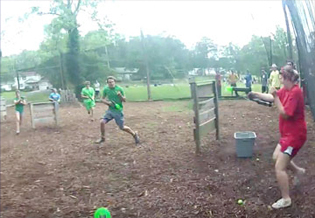 Fires like our regular Bazooka Ball from out patented Bazooka Barrel but this ball is design to hold water for playing outdoor water tag. 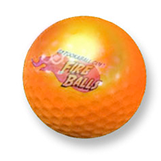 Submerge the ball in water, squeeze out the excess, place in barrel and fire! Balls fly from about half the distance of our regular balls depending on the water absorbed. 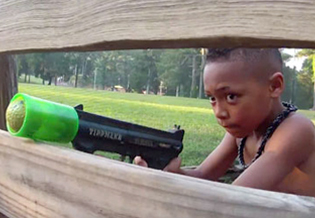 adjusted to 43 feet per second. Amount of energy put out is .94478 Joules. be considered "a toy" and does not need a licence. All Ages & Mom & Dad Too! 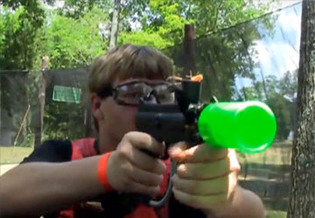 Just like our original PhazerZone™, Bazooka Ball™ is the most awesome combination of Laser Tag and Paintball! It provides the same adrenaline rush for seasoned players but is also great for younger players too! Contact us to get full details! Call us now!